Tomato sauce, where do I begin? Prose does not suffice. Garlic simmering, tomato paste hissing as it hits hot olive oil. Footsteps running, tripping down the stairs to help squeeze the abundant juices of fresh tomatoes into the pot. Fingers ripping basil into pieces, aroma emanating from the leaf. Salt, pepper, garlic powder, shake-shake-shaking into the mixture, seasoning. Wooden spoon so large its called “Big Papi,” stirring ingredients together. This is what it means to cook tomato sauce. If I had to eat one thing for the rest of my life, it would be pasta and tomato sauce. Could I ever get tired of it? Never! As a little girl, some of my best memories in the kitchen are with my Dad, squeezing tomatoes in my hands, ripping pieces of basil into the pot. To my knowledge, there was one particular sauce-making session where I, kneeling on my stool with face parallel to liquid, sneezed directly into the sauce. My Dad still cooked that sauce up, though I’m sure it tasted a little bit like “Kristina.” When I make this sauce myself, it only takes the scent of the garlic in olive oil or the aroma of the basil to bring me back to my childhood kitchen. 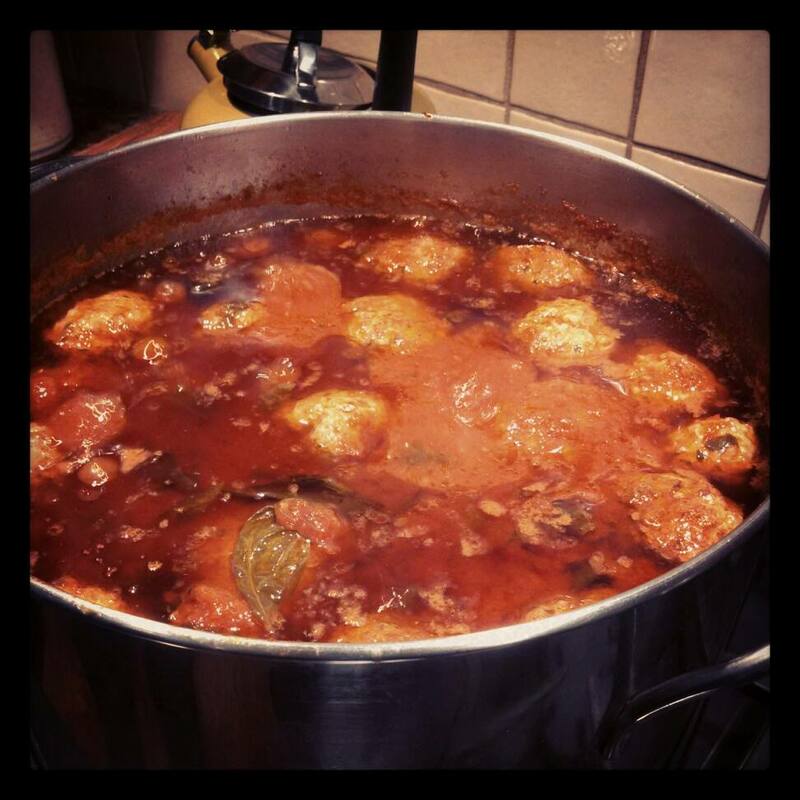 My great grandmother, Nonnie Ricca, created this recipe. With every batch of sauce I create, I feel that unmistakable connection to her, too. I’ll be linking to this post frequently, as I’m about to share with you my family’s simple, yet delicious tomato sauce. 1. Take out a medium-large pot and fill the pot with olive oil, enough so that the oil is about .25 inches deep. 2. Then, peel your garlic cloves, but leave them whole. Turn on your burner to medium heat and put your garlic cloves into the pot with olive oil. Allow the oil to warm up and wait for those garlic cloves to sizzle. Now, you need to watch the garlic carefully. Wait until the garlic cloves become light brown in color, and then take them out with a slotted spoon. Tip: You can save these garlic cloves for another dish, or you can chop up this garlic and add it to the sauce later. My sister does this! 3. Turn off the heat and place the pot onto an unused burner. If you are using whole peeled tomatoes, this is when you will insert your tomato paste. Taking care of the hot oil, place the tomato paste gently into the pot (do not let the paste just “plop” into the pot, you will burn yourself). Stir the paste around for about 30-45 seconds. 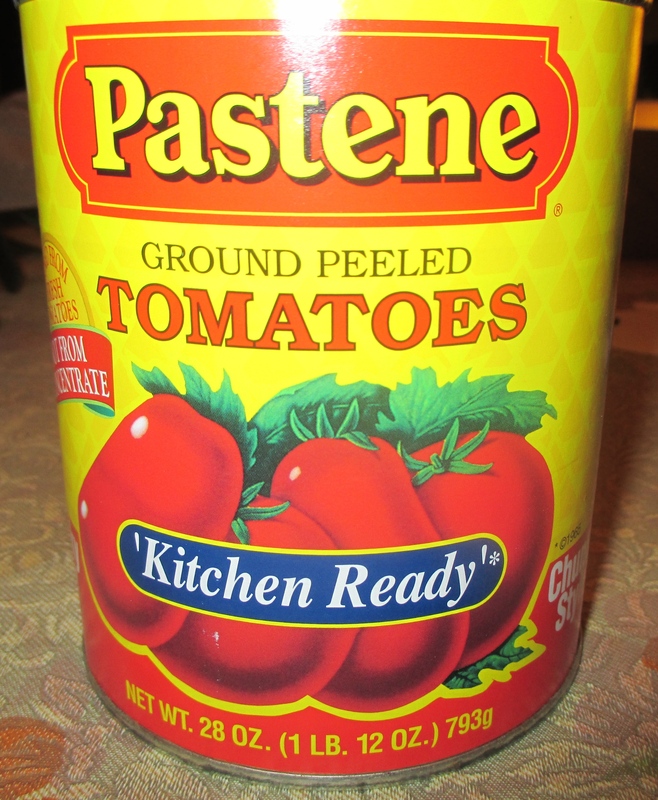 If you are using two cans of kitchen ready tomatoes, then you will not use tomato paste. 4. Open your cans of tomatoes. Pour the kitchen ready tomatoes directly into the pot. You can always rinse out the can with a little water. Do not add too much water, though, as this will thin out your sauce. If using whole tomatoes, take each tomato, break it apart into pieces with your hands, and add these pieces to the pot (this was my favorite part as a kid)! Add the extra liquid from the can in the sauce. 5. Now, take your basil and wash it all in a colander. Pick each basil leaf off of the stem and rip the basil into pieces with your hands. If you cut the basil with a knife, the basil will bruise. Not so pretty. Place these ripped pieces into the pot. Enjoy the aroma! 6. To season the sauce, all you need is what I call the “spice trifecta” – salt, pepper, and garlic powder. This is where I tell you to eyeball it. You can do it! Add enough of these seasonings to cover the liquid in a thin layer, and add enough seasoning for you. It’s better to err on the side of caution and add more later than to add too much at first. 7. Mix these beautiful ingredients together. Put the sauce back on medium heat and let the mixture come to a soft boil. Let the lid rest on the pot, but do not completely close it. You can also take the lid off the pot if you need your sauce mixture to come thicker. Stir the sauce at least every 10 minutes. Let the sauce cook for about 45-60 minutes, depending on the amount of sauce you make and the desired thickness/richness you wish to have. There you have it! This particular recipe is good for 2-4 people, depending on how hungry you all are. You are encouraged to multiply this recipe and make a big batch for yourself. Leftovers are the best to freeze and have later! We have a massive garden in my Ohio home affectionately called “Fort DeMichele.” Our tomato and basil crop resides there. If you can grow and crush your own tomatoes, what a treat! The tomato sauce comes out all the sweeter. When fresh basil is hard to find in the later fall and winter, buy or grow lots of fresh basil and freeze it in ziploc bags. When you make sauce in winter, just crush the frozen basil in the bag with your hands and pour it into the sauce. For grated cheese, use pecorino romano. The flavor is a little saltier and possesses much more of a bite than parmesano reggiano. You can certainly use parmesano reggiano, but you will have a nuttier, more subtle flavor than if you use pecorino romano. Plain tomato sauce is an amazing base for several recipes. In forthcoming posts, I will detail how to add meat to the sauce and how to use this sauce in other recipes. For now, try making this tomato sauce! Comment with thoughts, questions, or even results of your own.